Funny Greeting Card. Vintage Photo. Cleaning Quote. Dammit. 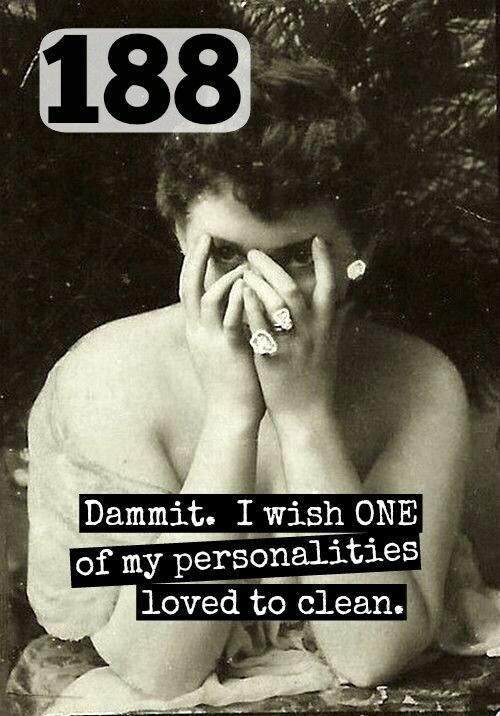 I Wish One of my Personalities Loved to Clean. Card #188. 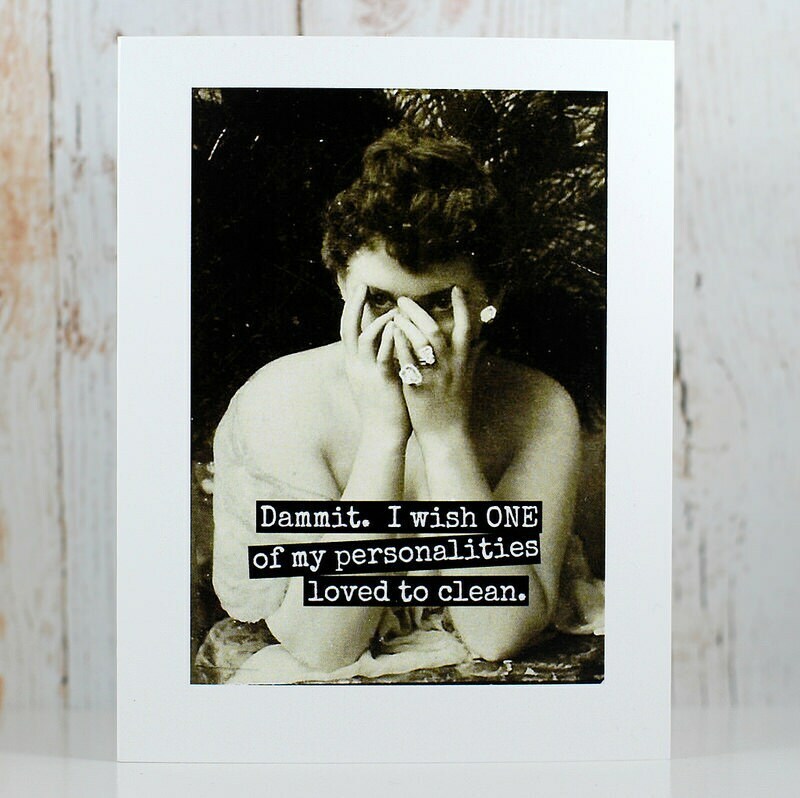 This card features a vintage woman and reads: "Dammit. 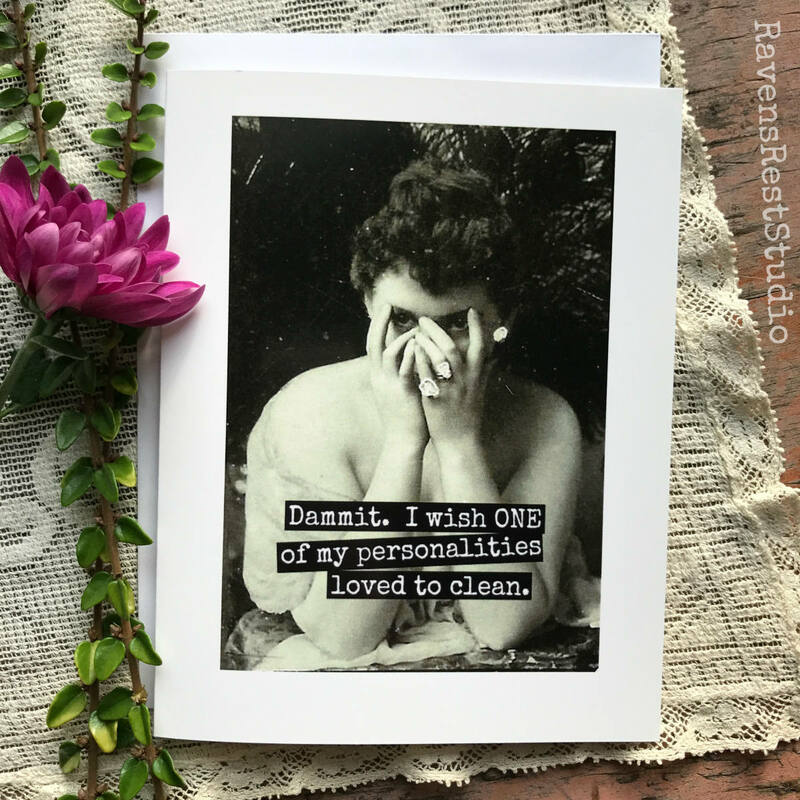 I wish one of my personalities loved to clean."